I've been eyeing tons of skin care products since the beginning of the year, but this product from MUN really had me intrigued. I've always been drawn to companies that use natural ingredients in their products. My skin is really sensitive, so I try to use all-natural ingredients as much as I can. I wanted to do a review on MUN's Aknari Brightening Youth Serum because I've been needing a serum to fit into my skin care routine. I also wanted to make sure that the product would have great long term value and really "does what is says it does". Serums are important for skin because they contain more powerful and more concentrated additives. Most moisturizers are watered down, dilute a lot of the product and often more expensive ingredients. However, don't let that deter you from trying Aknari Brightening Youth Serum. It's simply amazing. The bottle should last about 3-4 months so a little bit of product goes a long way. 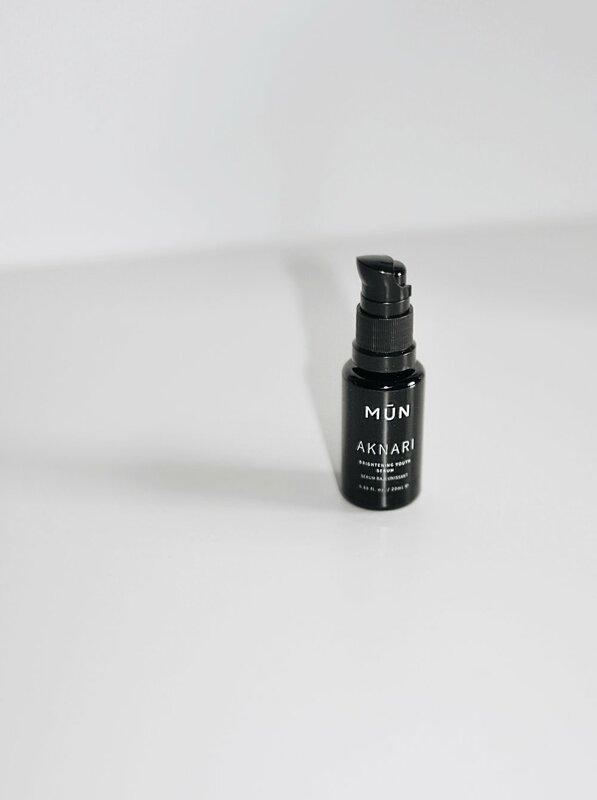 The shining ingredient in the Aknari Brightening Youth Serum is Prickly Pear Seed Oil. With an added Argan Oil blend, It acts as an oxidant to help smooth wrinkles, ward off inflammation, fight restore skin from sun damage and lighten dark spots. Of course the tried-and-true Vitamin E adds essential moisture to skin and without water loss. They also added in Bulgarian Rose Essential Oil which gives the serum a pleasant natural smelling scent. 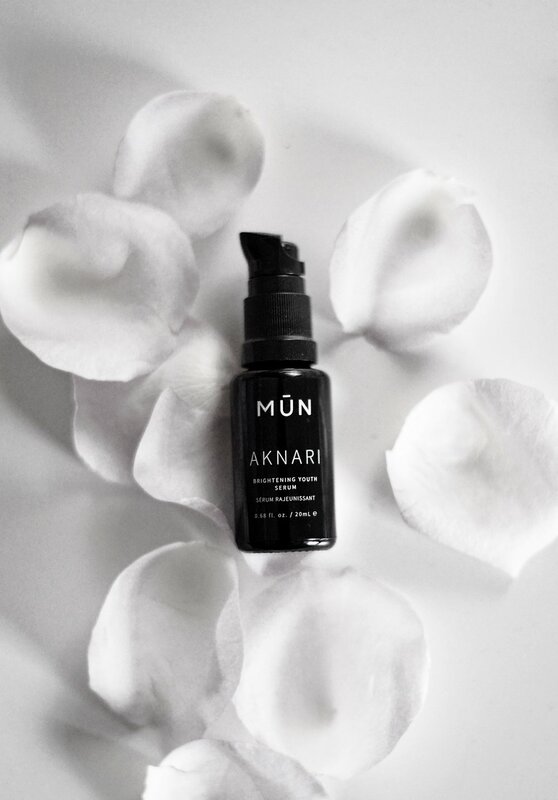 If you're looking for a new serum to add into your skincare regimen, I'd definitely suggest looking into MUN's Aknari Brightening Youth Serum. It's sure to give your skin the boost that it needs for the Summer.